The 59th Artillery has a long and illustrious history. It was originally activated as the 2nd Company, Coast Defenses of Southern New York on January 1918 at Ft. Wadsworth, New York. It received its personnel from the 13th Coast Artillery Regiment, which can trace its lineage back to the 18th Century. The regiment was sent to France, shortly after its activation, where it was issued English 8" Howitzers with 10-ton tractors as prime movers, and was first committed to action in the province of Lorraine on 12 September 1918. It received its second campaign credit for support of the 77th and 78th Divisions in the Meuse-Argonne campaign, from 26 September to 9 November 1918. This campaign streamer, along with the St Mihiel and Lorraine 1918 streamer, are now carried with the battalion colors for the World War I actions. 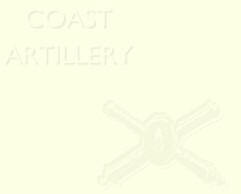 On 1 June 1922, 2nd Company was re-designated 253rd Company, Coast Artillery Corps. On 30 June 1924, the unit (less equipment and men) was transferred from New York to Ft. Mills, Philippine Islands and re-designated Battery C, 59th Coast Artillery (Harbor Defense). By 1929, all batteries and the 59th CA (HD) Regiment were assigned the fixed defense of Corregidor and Ft. Drum. Ft. Drum is the fortification that was built on a small island near Corregidor, and was commonly called the "Concrete Battleship". The unit's weapons consisted of "12" and "14" guns and "12" mortars. In 1935, the regiment was assigned the secondary mission of air defense of Corregidor and Ft. Drum, and was augmented with 30 caliber machine guns. With the war clouds gathering in 1939, two more batteries, a searchlight and a sound locator were added to the 59th. The evacuation of dependents from the area was completed when the last families departed for the United States in July 1941. When the Japanese made their attack on Pearl Harbor, the 59th was at battle stations. Saturation bombing and artillery fire was started against Corregidor on 29 December 1941, and by the middle of January 1942, no spot on the entire island was more than 25 yards from a shell or bomb crater. During this period, the 59th fired the first rounds that any U.S. Artillery unit had fired in a coast artillery role since the Civil War. Fort Drum, though a primary target, was the only American installation that continued firing up to five minutes prior to the surrender of Corregidor on 6 May 1942. The ceaseless bombardment by the enemy knocked 15' of concrete off the deck of Ft. Drum, and during am 24-hour shelling, Corregidor received over 16,000 rounds. One shot hit a mortar position and ignited the powder magazine, destroying the last two 12" mortars and killing 48 men. The 59th repelled several Japanese landings and exacted a fearsome toll of enemy lives; but a successful beachhead was finally established by the Japanese on Corregidor on 5 May 1942. Although the beachhead was contained using personnel from the 59th as infantry, the water supply was reduced to three days rations and General Wainwright made the decision to surrender the island at 1200 hours on 6 May 1942. Battery E at Ft. Drum continued to fire until 1155 hours, then drained the re-coil oil from their guns and fired one more round to destroy their guns. The Battery Commander, LTC Kirkpatrick, then ordered the flooding of the "Concrete Battleship". During the battle, all members of the 59th were either, killed, missing in action or taken prisoner by the Japanese. The Defense Headquarters was the 6lst Artillery Group, located at M-96. On January 1959, the 59th was reorganized as a NIKE Hercules unit with four firing batteries. At that time, A/3/59 was converted to an operational NIKE Hercules unit, In February, B Battery was converted and in December, D/3/67 was also converted. During the July-August period, C/3/59, B and C/3/67 were deactivated due to the increased capabilities of the Hercules units. The 6lst Artillery Group was also deactivated and re-designated HQ & HQ Btry, 3d Battalion, 59th Artillery with three firing batteries assigned -- Batteries A, B, and D/3/67 (which was re-designated C/3/59). 19 June 1963, another major reorganization took place in the 3d Battalion, 59th Artillery when C Battery was inactivated at Site M-74. On 1 August 1964, the Milwaukee Defense was inactivated, and the Milwaukee ADA units, ARNG and Active Army, came under the operational control of the 45th Artillery Brigade (Air Defense). SHIELD: The shield is divided horizontally, the upper, part being colored blue and white in the manner, known as "Vair" in heraldry. Vair is a fur and represents the bluish-white skin of a species of squirrel called "Varus". In this case, it is taken from the arms of the Coast Defense of Southern New York, where the regiment was formed. The lower part of the shield has a thistle in natural color on a server background for Lorraine, the thistle being one of the old emblems of that province and is to indicate the engagement of the regiment at St. Mihiel. CREST: A red demi-lion, clasping in one paw a gold sword. This is taken from the arms of St. Menehould, near the place the regiment was in action supporting the 77th and 78th Divisions in the Meuse-Argonne Offensive. MOTTO: Defendimus (We Defend).